Today, Android device is widely used device that many people use to store their valuable data. In many situations, people suffer the data loss from different android devices like android mobile phone, tablet pc and other android technology based devices. Whenever data has been deleted from any of the android devices, it does not lose forever until it is overwritten by another data. 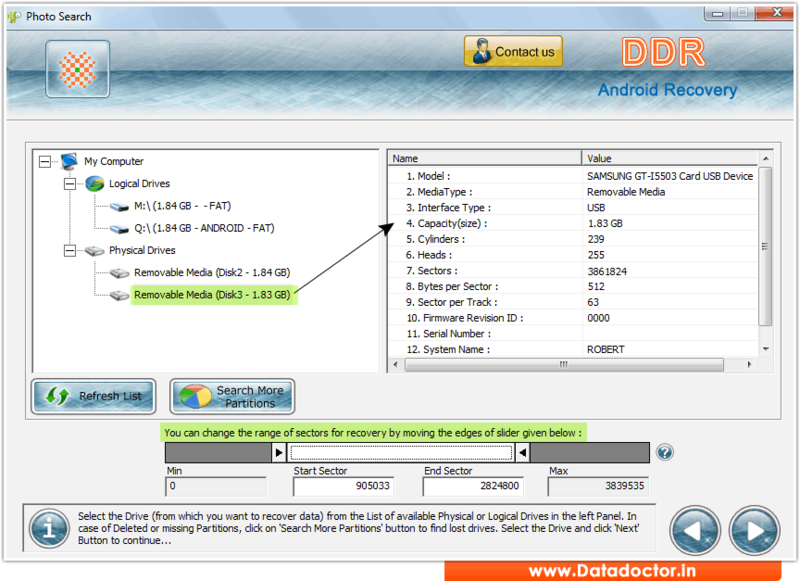 Android data recovery software deeply scans android devices and recovers all types of lost data. Android data recovery software is designed to recover your lost data like digital photos, mp3/mp4 files, folders, pictures, snaps, images and other precious data from different android devices. Android file retrieval program provides inbuilt disk scanning technique to recover deleted data. » Provides different search recovery mechanisms: Software provides deep, basic, signature, photo and video search recovery algorithms to recover deleted data. » Recovers lost files of all extensions: Recovers lost files of all extensions including audio files (WMA, WAV, MP4, MID, M4A, AIFF), video files (3GP, AVI, MOV, MP4, MPG, MTS, WMV etc), image files(JPG, TIF, PNG, BMP, GIF etc) and other types of files of any extensions. » Recovers deleted data from formatted or reformatted memory card of android devices. » Android file restore software gets back all types of lost data from logically corrupted memory card of android devices. » Recovers deleted data in all major data loss conditions such as accidentally deleted data, transferring data from one device to another, improper use of devices and other data loss reasons.